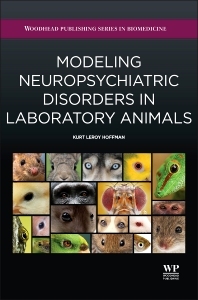 Modeling Neuropsychiatric Disorders in Laboratory Animals serves as a guide for students and basic investigators in the fields of behavioral sciences, psychology, neuroscience, psychiatry, and other professionals interested in the use of animal models in preclinical research related to human neuropsychiatric disorders. The text focuses on the rationale and theory of using animal behavior, both pathological and normal, as a tool for understanding the neural underpinnings of neuropsychiatric disorders. Chapters contain discussions on both classical and modern views on the validation of animal models for neuropsychiatric disorders, also discussing the utility of endophenotypes in modeling neuropsychiatric disease. Subsequent chapters deal with four specific classes of disorders, including anxiety disorders, depressive disorders, obsessive-compulsive and related disorders. Final sections discuss the future for the development, validation, and use of animal models in basic and preclinical research. This book is aimed mainly at students (including young investigators beginning a career in preclinical research involving animal models). However, it would also be useful for psychiatrists to better understand and interpret preclinical studies involving animal models. 1: What is an animal model of a neuropsychiatric disorder? 1.3 What is an animal model of a neuropsychiatric disorder? 1.5 Animal model or model animal? 2: What can animal models tell us about depressive disorders? 5.5 How far can we take cross-species comparisons? Dr. Hoffman has studied neurobiological processes in a variety of model animals ranging from Manduca sexta (the common tobacco hawkmoth) to the European rabbit. He received a Bachelor of Science degree in Zoology from the University of Wisconsin, Madison, and a doctoral degree in Biology from the Institute of Neuroscience at the University of Oregon, Eugene. His research has involved diverse aspects of neurobiology and behavior, including neuronal differentiation and myelination, neuroendocrinology and programmed cell death, reproductive behavior, and animal models for studying obsessive-compulsive disorder and schizophrenia. Currently, his work focuses on the neurobiological underpinnings of animal behavior – both normal and abnormal – in order to gain a better understanding of the neurobiology of human mental illness. Investigator, Dr. Carlos Beyer Flores Center, Tlaxcala, Mexico and Professor, Postgraduate Program in Biological Sciences, Autonomous University of Tlaxcala, Mexico.